What is a Hydrothermal Created Quartz Gemstone? Let me start by saying I am not a Gemologist or an expert on this subject, but I have done a little homework, so I can pass this information to you, the consumer. I myself have gotten really tired of being cheated by foreign sellers and learned thru trial and error when it comes to certain gemstones, minerals and metals. I guess I can consider myself lucky that I have a friend in India that brings most of my stones we sell in the shop, and not only I have learned from him, but I also know they’re genuine. If they’re man-made, I do my best to label them as such. The worst part of this, is that I see Crystal shops here in the US also selling stones as genuine, when they are not. When it comes to jewelry, …yes,…. I do sell beautiful low priced Hydro-Quartz (hydrothermally created gemstone) bracelets, earrings etc,.. and do my very best to label them as such. Just because they’re Hydrothermally created, it doesn’t mean they come free. If you purchase a genuine gemstone quality Amethyst pendant stone between 12mm and 14mm set in Sterling Silver, be prepared to pay over $120 retail. Same exact pendant in Hydro Quartz, should not cost more that $25, of course this is for a very simple design. Apparently not everyone knows the raw truth about what’s going on out there in the real world of gemstones. Consumers are being told they are purchasing real genuine stones set in Sterling Silver. I am not talking about reputable shops and jewelry stores, I am talking about online shopping thru Ebay, Amazon, Etsy and other similar web shops. 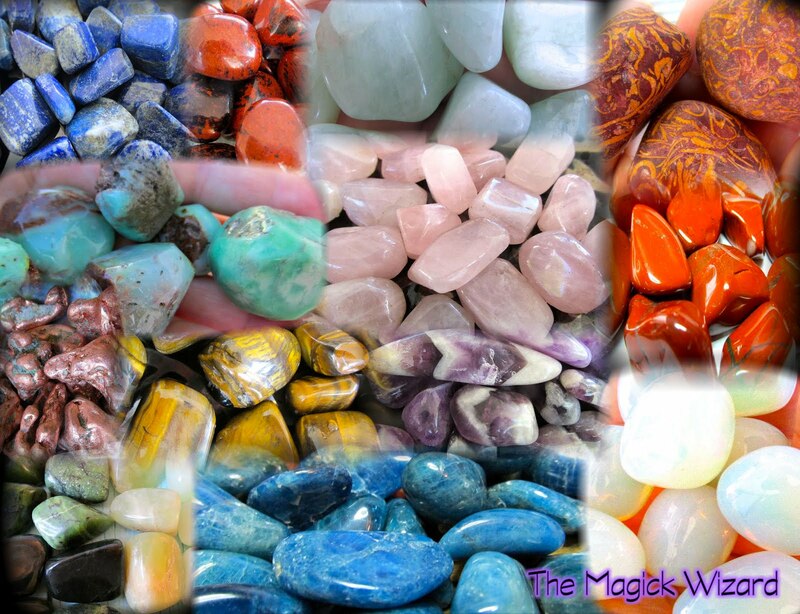 Items like,.. bezeled stones for jewelry making, bracelets, rings, earnings, pendants, necklaces, etc.. Some of these are are not genuine as they claim. The most common synthetic and/or lab created stones you will see being sold in retail jewelry are: Amber, Ruby, Natural Topaz, Amethyst, Emerald, Ametrine, Citrine, Peridot, Garnet, Sapphires and others. They are beautiful man and autoclave created stones made in a lab, which to my understanding, do contain some quartz, (hence the label). They are manufactured overseas in India, China, Madagascar, Brazil, Thailand, Russia and other countries. Sadly, it is up to us, the retailer, to know what we are purchasing and re-selling, because unfortunately we are being misinformed by foreign sellers, that are not disclosing the truth or listing them for what they really are. Some of us that resell them here in the US, are listing them as genuine, because its how they were falsely sold to us and we really have no idea that they are man-made created stones. I did a test on Ebay just to show you what I am talking about. Under my name, I asked a merchant about an Amethyst Necklace that was listed as “Genuine Amethyst Stones Necklace set in 100% Sterling Silver- 7 Bezel Amethyst Stones” being auctioned at $80 (and going up fast) with 4 days to go in the auction. Yes madam, they are genuine stones and metal is silver like listed. I do not lie, I only sell good product. Hello, you list the stones in this necklace as being genuine Amethyst and the metal being Sterling Silver. Before I place my bid, I want to make sure they are not lab created Hydro-Quartz made to look like genuine Amethyst as you state on the listing. Once I receive this item and others I just ordered from you today, they will be tested in a lab for authenticity. All our stones are lab created with silver coating. SO there you have it…. this is the honesty you get. That particular store is now closed and probably re-opened under a different name. The funny thing is that for the most part, Quartz are inexpensive stones and readily available for exploitation, yet some countries feel the need to create them in a lab and mislabel them, to sell to the US at a higher price. Specially to those who are not familiar with the real thing. As clients, we are purchasing glass, plaster, plastic, acrylic and Hydrothermal jewelry that is labeled as “GENUINE GEMSTONES”, “STERLING SILVER” and paying high ridiculous prices for them. Going thru Etsy, Amazon and Ebay, I was floored at the misleading listings I sew, and how buyers are paying the high price. For example,…an Amethyst Bracelet labeled as “Genuine Amethyst stones set in 100% pure Sterling Silver” “$249” “SOLD”. Some went into auctions selling for $500 plus and the seller was from India. I found hundreds and hundreds of listings like this, and the reviews are 5 stars all the way, because the buyer thinks they got the deal of a life time, when in fact, this same bracelet, should have been properly listed “Silver plated and Hydro created Amethyst“ and sold for no more than $50-$60. A pair of Hydro created Amethyst Earrings, should not be sold for over $20 and should be properly labeled. Yes of course, you have to count for the work the person puts into it, the design, purchase of the Hydro Stones, shipping etc…which all need to be combined into a reasonable price to sell. They are still beautiful creations and a jewelry piece I would love to have myself, BUT….. this article here is only to make you aware of what you are purchasing, whether is real, synthetically created, man made etc. Not everything you get is bad of fake, you just need to ask questions and read the listings before you pay. If you like it for the looks and don't really care about the material, then that's wonderful, but also, don't be afraid to ask. After all its your money and your choice. If its listed as Hydro-Quartz, then you know they’re not trying to pull a fast one on you by being honest from the beginning, and you can still have a beautiful item. But if they are listing them as genuine Turquoise and what you are paying for is plaster, then beware buyer. I hope this opens a few eyes and helps some of us that make jewelry and sell crystals, so we can start labeling accordingly and and not being ripped off by foreign sales. This also goes for other fake or man-made stones that are usually sold in the form of "Tumble Stones" for Metaphysical and energy work, like Cherry Quartz, Goldstone, Opalite, and Turquoise from China, which is mostly painted plaster and in some cases colored Howlite. Moldavite on the other hand, has become a big expensive problem. Crystallized plastic or Processed glass is being sold as Moldavite for very high prices and it's not the real thing. You will notice I attached a website at the beginning of this article. Please look at the photos and listings. They are all fake. If you need real Moldavite, I can get it for you, or go directly to a website you can trust (below). They are experts and partnered directly with the main Moldavite source in the Czech Republic. Oh, and by the way.... all these fakes come with certifications of authenticity. Please, don't believe them and fall for it.You will know, when you hold a real piece of Moldavite in your hands, the feeling is like no other, in my opinion. Again, I want to emphasize that this is all based on my own personal observation and opinion. By all means, I am not perfect and I learn something new everyday. Both photos bellow are of fake Turquoise from China. To my knowledge a stone equal in size sold on Etsy for an insane dollar amount, (over$1500) with papers of Authenticity.